Filtrexx® SiltSoxx™ is a three dimensional tubular device made of FilterMedia™ encased in Filtrexx® Mesh™. It is designed to support stormwater management, sediment & erosion control and pollutant removal Best Management Practices (BMPs). It is generally used in areas where delimiting at risk areas and diverting, cleaning and filtering stormwater runoff is critical. SiltSoxx is often used in combination with other sediment control systems to create a complete solution. 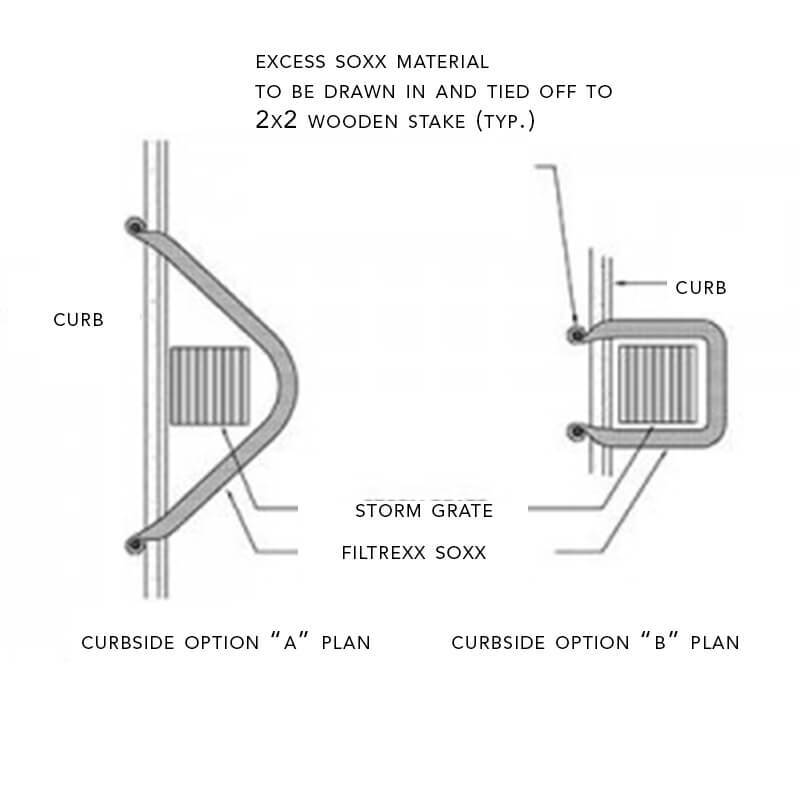 Most typical applications are check dam, concrete washout, inlet protection, perimeter control, runoff diversion, slope interruption, sediment traps and diverse filtration systems. We provide FREE access to our Filtrexx Design Manual. Our database includes product specifications, installation guidelines and recommendations, as well as CADs for over 25 applications. Engineers, designers and installers rely on our Filtrexx Design Manual to evaluate our products and find best suitable solutions. Sign up or log in for free. View our calendar of webinars and seminars and sign up to learn more about Filtrexx Sustainable Technologies.